Nurullina Gulshan D. Zhitelev Vladimir A. Zvir Elena A. Kuprienko Maxim V. Strozhuk Andrey V.
Сomputerized emission gamma tomography of the test leaky fuel assembly irradiated in the research reactor BOR-60 has been carried out at the Material test department of Joint-Stock Company JSC «SSC RIAR» using gamma spectrometry equipment and installation for 2D-positioning placed in a hot cell. 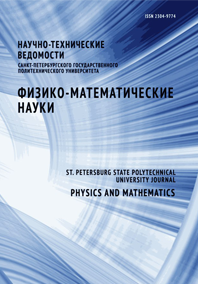 The paper describes the gamma tomography installation, reconstruction algebraic iteration scheme used for data processing and the results of reconstruction of fission products of nuclear fuel and products of activation of constructional materials distribution in the cross-section of the fuel assembly. The reconstruction results showed that the meltdown of the power rods’ fuel and of the internal casing’s part with corium formation had occurred in the investigated cross section of the fuel assembly. The conducted research proved the effectiveness of the used technique and the serviceability of the developed reconstruction algorithm.